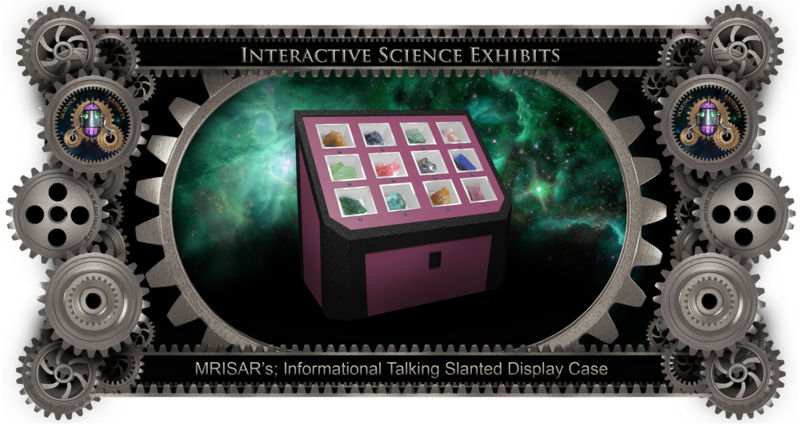 Interactive Talking Slanted Display Case. It provides a lighted display of twelve specimens, lighted choice selection indicator and twelve individual messages using a Voice Repeater. Recordings can be updated as needed onto an SDHC card. When the button is pushed that pertains to a specimen, the exhibit verbally describes it. Approximate size 26” high in front and 53” high in the back x 60" wide x 32" deep. Exhibits are available in a wide variety of colors. Contact us for price information.